Clicked on 'quote' instead of 'edit'... My bad! Hi Chaps. Right. Try again. Have we got it or have we got it. That's what a couple of mouthfulls of John Smiths does for you and of course all the wonderful help from you chaps that I was used to ten years ago. BTW just a random photo of the mess next to the drop down flap (the white part) which is the way into the centre of the layout. Thanks alot everyone for your help. I'll be back shortly. Yip the old timer is now 72 and creeking as well as being on his own. Lost the dear wife seven years ago. Just me and the two cats Meg 16y and Mog 14y. They creek as well. All my best regards to you. Just a few random pics of where I'm up to. Being the skinflint I am I have used all my old track from the last layout. All I am left with are a goodly selection of bits. 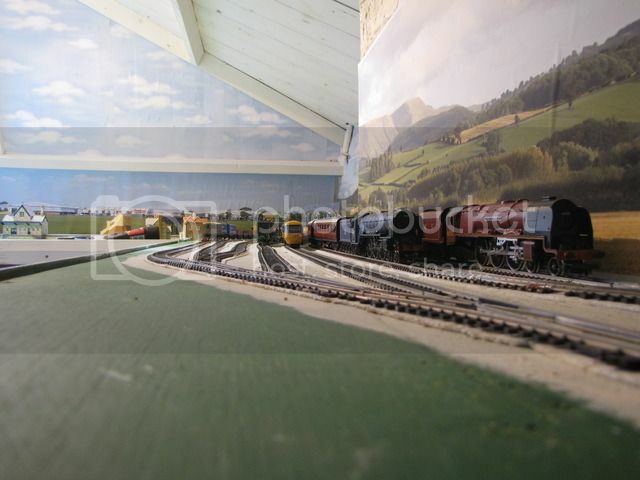 I did however lash out and bought the new backscenes which I now regret as they were a swine to mount as you can see from all the creases and bubles. I really need some more but I will manage to cover up the gaps somehow. It is, as you will gather, a cut price exersise using what I have around. I was seriously considering DDC but I could'nt be bothered with all the faffing about and besides it would have cost me a fortune and left a big chunk of my locos redundant. My mate, God bless him, bought me an A1 Peppercorn for my last birthday which you can see in one of the pics. 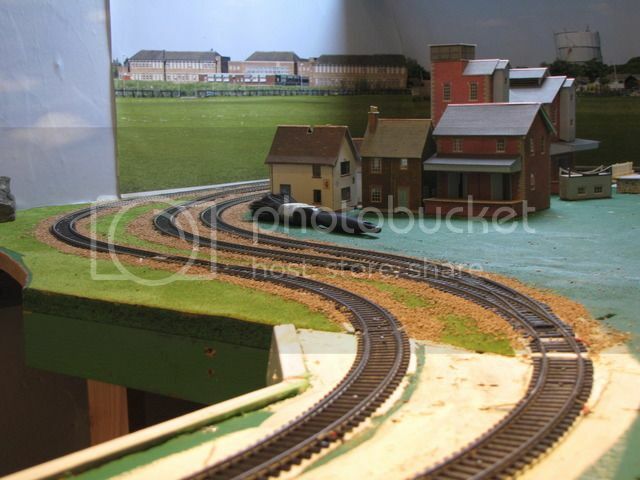 I have to get the ballasting done. The bit you can see on the last post is not stuck down yet and it's been there for six weeks. Anyway I'll post some more pics when I am getting somewhere. Thanks for putting up with me me. A gathering of Oldies or what !! Absolutely wonderful to here from you guys. And to think that I thought that I was off my rocker to start over with the railway again. 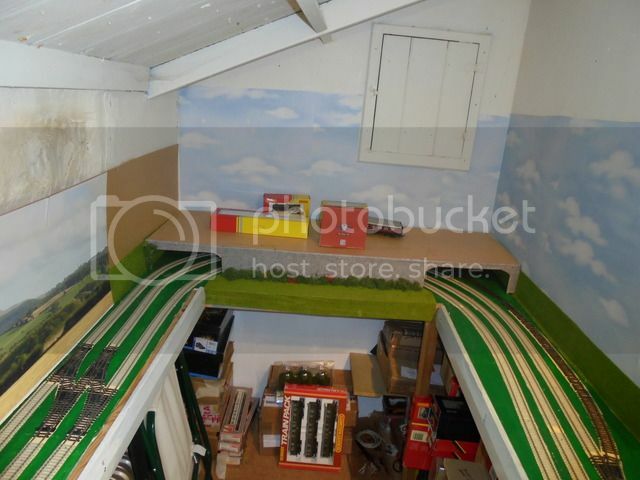 DEAN Instagram is no place to post model railway pics especially by a master of the art. Come on, let's see what you've been up to of late. It realy is GREAT to hear from you again. DAD-1 There's a couple of tins of JS here for you if you can make it for opening time which in this house is 3pm sharp. DAVE Yes the class of 2005 are back and it makes me so happy that I decided to start over. I could get seriously sentimental about it all. Personaly, it's just what I need. Still can't get over it. So in my true tradition I give you my first attempt at a video in about ten years. Un edited it is where I am up to at the moment. I had forgoten how to use movie maker and took me about two hours to get together and at my age that's a chunk of what I have left. I hope it works. Any questions about it just ask. 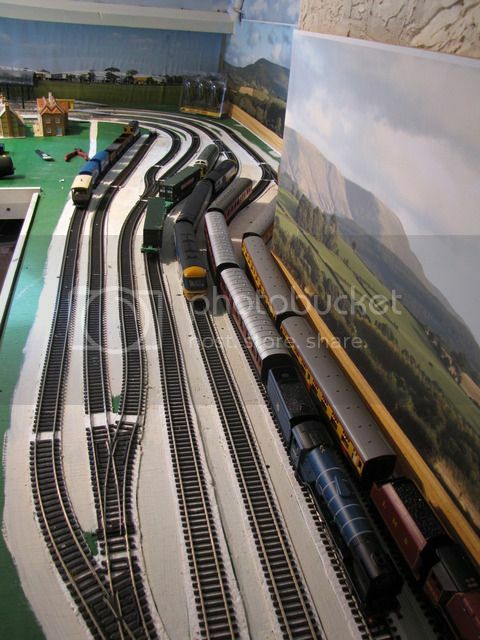 I'll speak to you all soon and DON'T FORGET DEAN this is where you post model railway photos!!!!! Sorry chaps can't get the video to link from Photobucket. Any ideas???? Think I might have it or something like it. A youtube link but it seems to have all the other stuff with it if you know what I mean. here it is. Last edited by waz on Wed Mar 08, 2017 5:10 pm, edited 1 time in total. No worries Bill, I'll defo get a layout page going again very soon. Just a quicky. 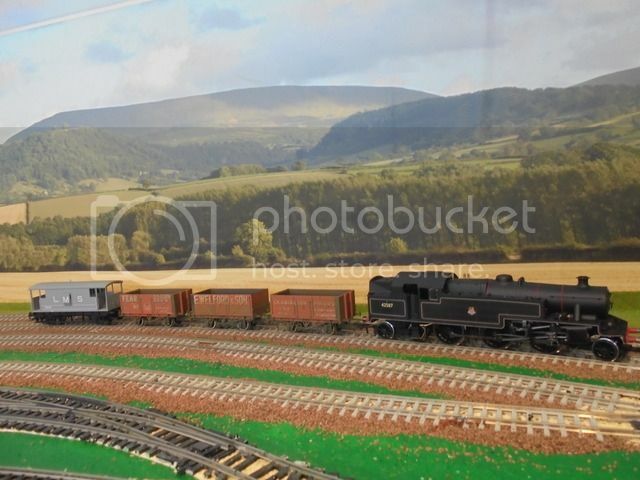 I'm looking to buy an Adams Radial 4-4-2 made by Oxford Rail. Can any one tell me if thay are reliable. 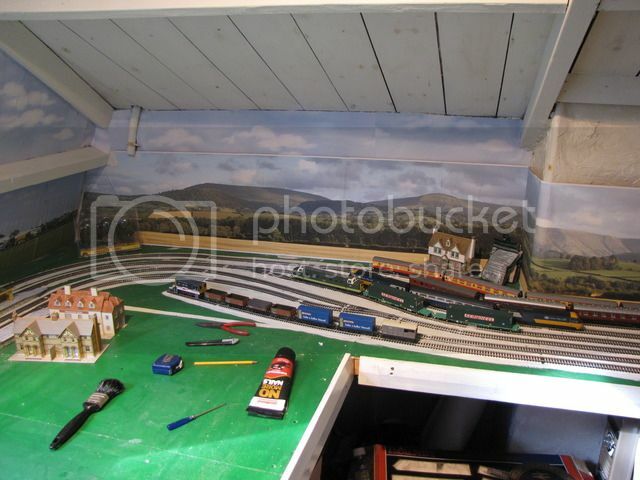 I have just bought some wagons of theirs and they are well detailed and look good. For any one that knows me from years gone by hope you are all well. Ignore my last post I ripped it all up and decided to go back to my old configuration of three tracks which is a bit tight but with the difference of DCC. Being an old sod I couldn't be bothered getting under the layout to wire a bus system so if it didn't work I was not going to bother but it does and it's great. I had a few DCC ready locos which are now chipped and I have enjoyed converting some of my other stuff. Last year I found out that there was a retailer here on the Isle of Man. They don't have everything but enough to keep me going. Some times I have a ride out to see them and some times I order. Their service is great. Just for a plug look at http://www.track-shack.com. I'll try to put up some photos shortly. Just going to try to post some pics. I've forgoten how to do it and I only did it eighteen months ago. Time to smarten up. Here goes. .
With my three Oxford Rail wagons. Town scene to go on top of tunnel. 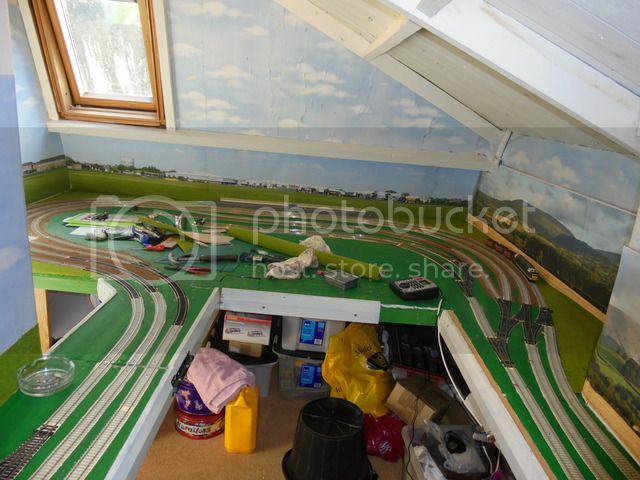 The track is laid on blown vinyl wallpaper a cheap and cheerful way to deaden track noise. A long way to go as you can see but I'm hoping to be around for a while . Hey Bill, good to see you still modelling. A very long time since I posted and even longer since I did any modelling. Maybe one day soon! Went to the local show (WycRail) and bought a 2nd hand DCC loco so who knows maybe spending some money will kick start some desire etc! Good to hear from you. Sorry I haven't replied to your post. Not been looking at my own. Had a little trouble with a DCC loco I was bought as a 73rd birthday present so I've been on the DCC forum. Good to see you may be going into DCC. Good fun. Heard lots about it over the years but wouldn't budge from DC. Glad I did. No fancy wireing or anything. Just tried to see what I could get away with and it works, no problem.